Have you or a loved one been injured or killed while coal mining? If so, West Law Firm can help. We have a successful track record of helping workers injured by safety violations in West Virginia recover full and fair compensation for their losses like those sometimes found in West Virginia coal mines. We recognize that coal mining is an important industry. However, coal companies are required by law to provide their employees a safe work environment. When corporations choose profit over safety, employees get hurt or killed, and that’s not fair to West Virginia workers or their families who depend upon them. If you or a loved one was injured at work by a dangerous work condition or the victim of wrongful death, we invite you to call one of our West Virginia coal mining injury lawyers for a free consultation. Our toll free number is 1-877-943-WEST (1-877-943-9378). There’s never a fee unless and until we win your case. If you were injured while coal mining or working for a coal mining company, you were likely directed to file for workers’ compensation benefits, which was appropriate. However, as you may have already learned, West Virginia worker’s compensation benefits are often not enough, especially after a serious coal mining injury. To get fair compensation for lost wages, pain, suffering, and medical bills, it may be necessary to file a lawsuit against a negligent landowner and/or the manufacturer of any defective equipment or dangerous chemicals. The general rule is that employers are immune from civil lawsuits involving their injured workers. However, if you were injured by a dangerous work condition that your employer knew about and that was a violation of safety standard or regulation, then you may have what is called a deliberate intent claim against your employer. At West Law Firm, we have a successful track record of helping injured workers with West Virginia deliberate intent claims recover the compensation they need to get back on their feet. We also understand the complexities of the laws and regulations that govern coal mining accidents and deliberate intent claims. Most importantly, we have the skill and experience to make those laws work for you. First, coal mine owners and operators will not increase safety standards and procedures unless their bottom line is affected. As you probably already know, they’re in it to make a profit. In fact, in December of 2013, the U.S. Mine Safety and Health Administration, also known as MSHA, issued 135 citations during its inspections of West Virginia mines, according to the West Virginia Gazette. May there never be another Sago or UBB mine disaster. Your legal action, combined with the legal action of other injured coal miners, will increase worker safety and reduce future coal mining accidents. Second, workers compensation may not fully compensate you for your losses, including past and future lost wages, pain, suffering, and medical bills. You may be entitled to much more than workers compensation benefits, including in some cases punitive damages. Third, only an attorney, who focuses his practice on work injury law and, specifically, West Virginia coal mining accidents, has the insider’s knowledge to understand what happened, and fully represent you and your best interests. Each and every year, West Virginians are killed and injured in coal mine accidents like these. 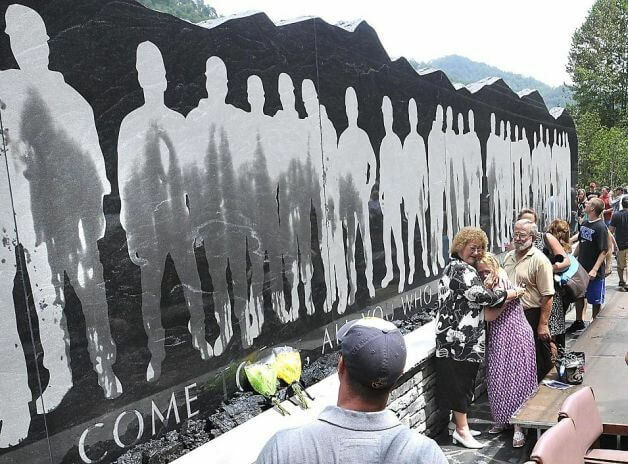 As of October 2013, 6 West Virginia coal miners had been killed in 2013, 7 in 2012, 6 in 2011, and 35 in 2010 – about 200 deaths between 1996 and present day. The number of non-fatal injuries is much higher, in the thousands. In fact, the U.S. Department of Labor reports that 50,000 coal miners were injured nationwide between 1996 and 2012. Many deaths and injuries can be prevented if proper safety precautions, including training, safety equipment, and safety checks, are used. Unfortunately, coal mining companies all too often put profit over human life and safety. West Law Firm is working hard to change that. If you are a loved one has been injured or killed in a West Virginia coal mining accident, we invite you to call our office toll free at 1-877-943-WEST (1-877-943-9378). We can help. There is no fee until we recover money for you. Also, if it’s more convenient for you, we will send a West Virginia coal mining accident lawyer to you.